Who are the Alt-Right Leaders Addressing the White Nationalist Rally in Charlottesville? 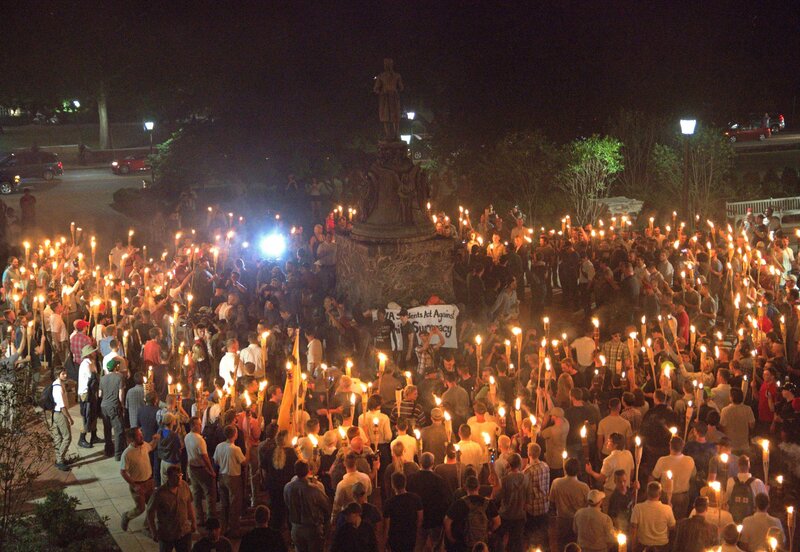 On Friday, hundreds of U.S. torch-bearing white nationalists rallied at the University of Virginia in Charlottesville, protesting the planned removal of a statue of Confederate general Robert E. Lee. The extremists clashed with counter-protesters and police ahead of a larger event Saturday, which the Southern Poverty Law Center (SPLC) said could be the largest white nationalist gathering in decades. 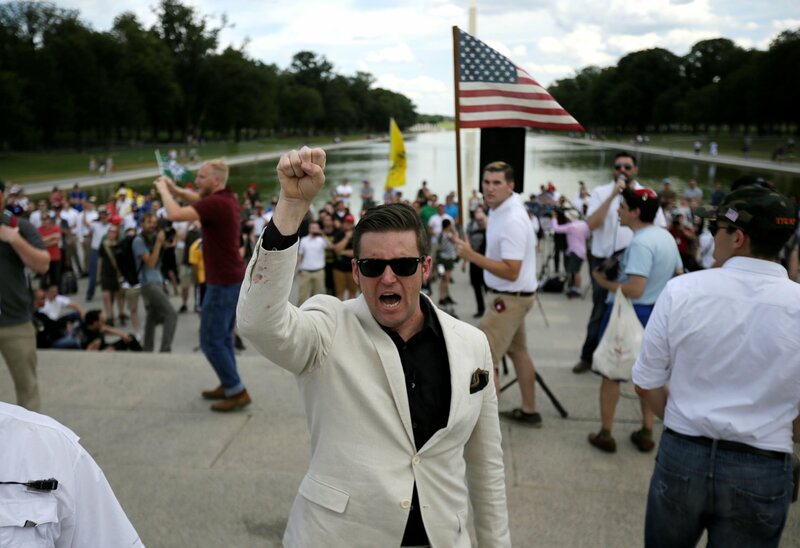 Speakers at Saturday’s Unite the Right rally include some of the most notorious figures in white nationalist and alt-right subculture, which according to the SPLC has been “electrified” by Trump’s run for office, who regard the president as “a champion of the idea that America is fundamentally a white man's country." ‘White rights’ activist Jason Kessler, who lives in Charlottesville, is the organizer of the protest. Kessler is a newly sworn in member of the ‘Proud Boy’s’ alt-right fraternity, which was created by Vice News co-founder turned right-wing provocateur Gavin McInnes. Members are expected to attend Saturday’s rally. Kessler claims to be neither a white nationalist nor white supremacist, however members of the KKK will be among his sidekicks at the rally. Hooded members of the racist organization held a July rally in the town. One of the first headliners at Saturday’s event was Richard Spencer, one of the founders of the alt-right movement, and president of the National Policy Institute white nationalist think tank, and has founded an alt-right media network. As a student at the Towson University in Maryland, he founded and started a chapter of the Youth for Western Civilization (YWC), and the White Student Union (WSU). 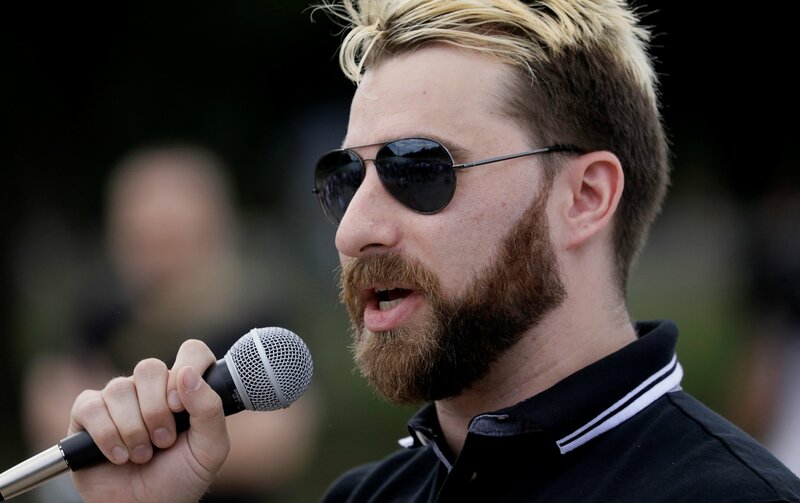 Since graduating in 2013, he has become a regular on the white nationalist and Neo-Nazi circuit, addressing rallies. Penovich is an alt-right blogger and host of anti-Semitic podcast the Daily Shoah, which refers to the Hebrew word for the Holocaust. The show is believed to be the source of the triple parenthesis or ‘echo’ anti-Semitic hate symbol, used by the alt-right to demote Jewish journalists or people of Jewish faith. A former rapper and Buzzfeed social media strategist, Gionet went on the road with alt-right provocateur Milo Yiannopoulos in 2016, and has become a prominent alt-right troll, baiting opponents of Trump with alt-right memes via his Twitter account. He has also collaborated with Mike Cernovich, an alt-right provocateur who has recently led an online campaign to displace Trump’s national security adviser General H.R McMaster.